I get a lot of questions about the Silhouette Design Store Subscription options and which plan to design plan to pick. 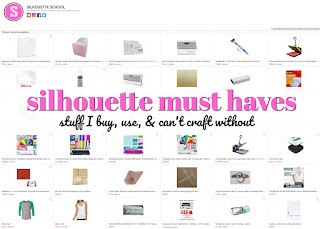 So here's the low down on the pros and cons of the Silhouette Store Subscription monthly plan. I often design my own Silhouette CAMEO designs in the Silhouette Studio software, but sometimes I don't have the time or creativity to start from scratch. In those case, I use my Silhouette monthly subscription to pick up a few designs. But before you jump on the monthly obligation bandwagon, there are a few things to consider, too! To give you a general overview of what the Silhouette CAMEO Design Store Subscription is, the name is pretty descriptive. Silhouette America offers the option to pay a monthly fee in exchange for a specific amount of monthly credits. For example, the Basic Silhouette Design Store plan is $9.99/month. In exchange, you receive $25.00 monthly credit to spend on Silhouette designs from the store. If you already purchase designs from the Silhouette Design Store, you know that a standard design costs $0.99. Unless of course the design is on sale. When you sign up for a monthly subscription, there is build-in cost savings to each level. Let's look at the Basic subscription level plan first. It costs at $9.99. 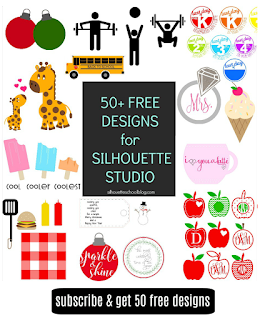 Without a subscription, $9.99 would get you 10 designs at regular price from the Silhouette Design Store. With a subscription, you now receive 25 designs at regular price, which equates to 15 free designs. 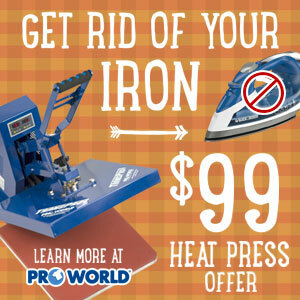 As the monthly price increases, so does the cost savings. For the Premium level Silhouette Design Store Subscription, the monthly fee is $19.99, but the store credit increases to $150. Silhouette America runs sales on both subscription services and designs, so take advantage of both for the most savings. Historically speaking, about twice a year, you can sign up for a subscription service for 20% off the normal price. 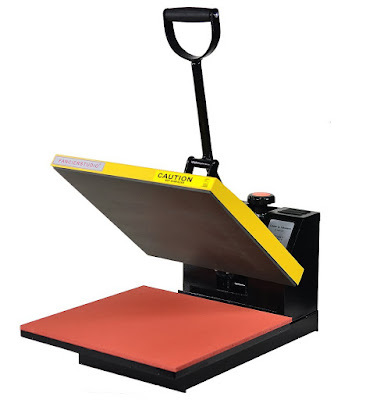 In addition, the Silhouette Design Store regularly has designs on sale for 25-50% off. By taking advantage of these types of sales, you can really get the most bang for your buck! Of course, one of the most obvious pros to buying designs from the Silhouette Design Store is it's quick and easy, saving you a ton of time and effort. That's right, you can actually use your Silhouette Design Store credit for purchasing commercial licenses for your favorite designs. Keep in mind - not all designs are eligible for commercial licenses, but for the ones that are, you can deduct the license amount from your store credit and proceed to sell items that you make with these awesome Silhouette designs. I don't know about you, but I'm more willing to spend store credit over my hard earned moolah! So if I have $150 in store credit that only cost me $19.99 a month, I might be willing to splurge on a commercial design from time to time. This also means I don't have to stress about finding royalty-free clipart to trace, I can purchase a commercial licensed shape instead and rest assured that I am within my selling rights for my designs. If you go a month without using all your credit, your Silhouette Design Store credit rolls over for 60 days. One thing to think about is the peace of mind of knowing that you can purchase designs when you need them and not have to pay out of pocket. By having one monthly fee, I know to go ahead and deduct it from my checkbook, then I can download to my heart's content. 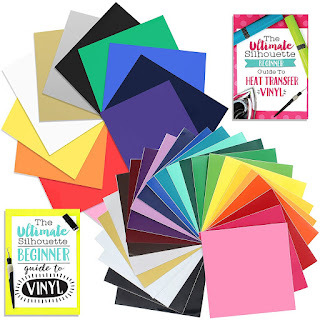 This was really great as a beginner, because I didn't have to stress over purchasing the exact design I needed, I could download several to choose from and play with them in Silhouette Studio. While ownership of these designs is a relative term, as the designers are the true owners, you are the owner of the license that you purchase for the design. What this means is that once a purchase is made through the Silhouette Design Store, it's more or less yours forever. This is also great because if you ever experience a computer failure, all of your purchased files are saved in your Silhouette account and available for restoration to your computer (individually or in mass). When the cloud upgrade is fully functional, all designs purchased through the Silhoutte Store will be stored in the cloud and accessible from multiple devices. You can read more about the cloud software update here. As with most things in crafting, you have to take the good with the bad. 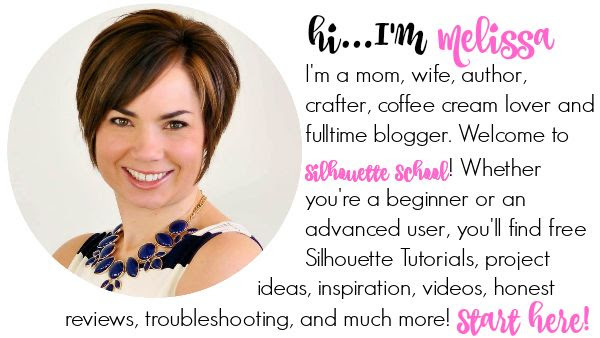 So, while we don't want to discourage you or scare you away from using the Silhouette Subscription service, there are a few CONS to consider before you jump ahead of yourself. Signing up for the subscription service is a commitment. Fortunately, there are several commitment levels, but the price increases for terms shorter than 12-months. If you do decide to cancel before your subscription term is up, fees can be associated and billed to the credit card on file. You are also committed for a minimum amount. During my subscription term, I can upgrade at any time, but I cannot downgrade. So if I sign up for the Basic subscription and decide that $25 credit is not enough, I can upgrade without any problems, complications, or further commitments. But if I decide that I don't need $25, I cannot change the plan until my current subscription term is due for renewal. Although the subscription amount does roll over for 60 days, at the end of that time, the credit expires. Any credit not used within 60 days is forfeited and cannot be used. I completely understand while they do it, but I absolutely hate automatic billing. Just make sure you have a current card on file and that you check back periodically. If your card expires or you have any other changes, you'll need to come into your Silhouette America account to update. While we don't have any complaints about our lost credit, because we still get our money's worth each month, Silhouette users who don't use their monthly credit and continually lose it month after month will now be obligated for an additional and unnecessary monthly expense. †You can cancel early or payoff the subscription, but it can still be constly if you jump into a subscription that you won't actually use. As with most sites and services, Silhouette America covers some of the finer details of their subscription service in their Terms of Service agreement. While none of it is surprising or unexpected, it is something to look over and stay up to date on, in case there are any changes. If you've decided that a Silhouette Design Store Subscription is right up your alley, then log in to your Silhouette America account (can be done in Silhouette Studio through the "Show Design Store" button on the left side toolbar). Look for the Subscribe and Save buttons to click on for more information. 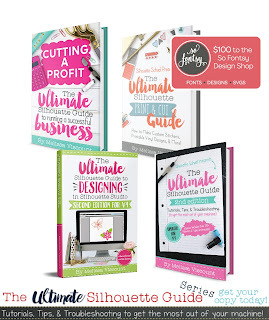 We really enjoy having the monthly subscription and urge every design purchaser to evaluate the amount of money you are spending on individual designs, because this just might be the answer you are looking for! I too was thinking this was a great pro. Hi Becky! Great breakdown of the subscription process. I signed up almost a year ago during one of the sale periods and was nervous about it so I only did a Level 1 for the $5 a month, and paid it in full for the year. I knew I could upgrade if the $10 credit per month wasn't enough for my needs. Turns out it is just perfect. I roll over some months hoping for a good sale when I don't have an immediate need for images, and I keep a big wishlist to make it easy to shop when there is a sale. And, when I know I need to use up some credit I just pick some favs from the wishlist if there isn't something I else I need. Thank you Becky for the excellent article regarding pro's and con's. I'm quite happy with the subscription service. Another con I didn't realize the first time I had a subscription is that credits disappear as soon as your subscription runs out. So, if you subscribe for a year and don't renew at the end of the year your credits are gone. They don't stay in your account for 60 days. I do the smallest.. $4.99 and I purchased it at 20% off so it cost $4.20 per month. That gives me $10 in credits ..which is more than I typically use. But I feel I have the freedom to pull a design when I need to do a craft/card without thinking...is it going to cost me. Also, Through the free Tuesday give away, and then at Christmas Time they give a good amount away, and buy one get one free... I have received a big bang for my buck with the subcription. I have had the subscription for 2 years..so say $96 dollars appx..yet I have over 500 items in my cloud.